Is there a Halachic problem with being in attendance to an intermarriage preformed in a regular hall meaning not a problematic location? 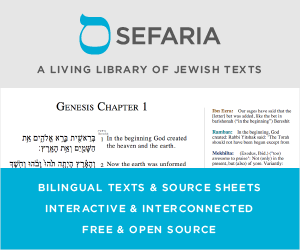 What is the source in the Halachic literature if there is an Issur? No. One cannot attend an intermarriage service. See TorahWeb for a short hashkafic discussion of this. Aiding one committing a sin. Sourced in BT AZ (6b). There is a difference of opinions among Rishonim if this applies to a scenario where the offender can still sin without aid (cf. Bet Yosef YD 151 & Rema ibid. 151:1). Some authorities argue that the disagreement is only regarding an observant Jew, whereas regards a mumar all agree that it is permitted to aid since there is no requirement to keep him from sin ("אין חובה להפרישו מן העבירה"). Noda BeYehudah (glosses loc. cit.) opines that any person intentionally commuting a sin is considered a mumar. Others argue that a tinok she'nishbah would not be in this category (Lehorot Nattan 3:23, cf. Yabia Omer vol. 2, OC 15). Additional source of issue is Mishnah in Sheviit (5:9). The extent of this restriction is debatable if it applies only at the execution of the actual sin or before as well, whether or not for "דרכי שלום" there is leeway and if it applies only to physical aid as opposed to other support (cf. link below). Flattery (passive encouragement). The Sefer Yereim (§248), based on Sifre (Numbers, 161), counts flattery as a לא תעשה; Semak also counts it as part of "showing respect to the great" (לא תהדר פני גדול) (n. 129). Michat Yitzchak (4:79) comments this is more severe than giving an object with which to commit a sin, although debates of it is a more stringent element of "סיוע" (aiding) or it is a separate prohibition of flattery. Maharam Shik (OC §303) holds even passiveness can be considered flattery. Being present where a sin is being committed. Later authorities debate if one's presence alone at a place where the environment or ceremony isn't being conducted according to halachah is intself an element of "חיזוק ידי עוברי עבירה"; some add "חשד" and "מראית עין". (cf. link for multiple sources). Companionship with a sinner. Sourced in Mishnah Abot (1:7) and elaborated by Maimonides (MT Deot (6:1)). Partaking in a feast for an occasion in violation of the Law. As described in BT (Meg. 12a) Jews should not partake in feast set for nefarious events. One reason given is "חילול השם" (Tosafot Yom Tov, Yoma 8:7). For a talmid chacham there is the issue that such a feast is not a "סעודה של מצוה" (BT Pes. 49a). Attendance at a non-Jewish wedding. On the basis of BT (AZ 8a), Shulchan Aruch (YD 152:1) codifies the prohibition of partaking in a wedding of a non-Jew even when eating one's own [kosher] food. Some posit that this prohibition is in place so as to distance oneself from idolatry which in today's day would not necessarily apply (cf. Mishneh Torah, AZ 9:15, Yabia Omer vol. 10 YD 13). All the above issues, and their various angles, are thoroughly dealt with by the former candidate for Chief Rabbi of Israel, R. David Stav here. There is however an overarching factor of "darkei shalom" when dealing with specific [familial] dynamics (cf. Maimonides' Guide, 3:42, Shema Shlomo vol. 2 EH 12). Each case is unique and one should consult with their LOR. [King Aggripa, whose ancestry was not Jewish, read the Torah out loud and began to cry when he reached the verse you may not appoint a king who is a foreigner; the rabbis responded fear not, you are our brother to appease him, but this was false -- halacha would have prohibited giving Aggripa the Jewish monarchy.] It was taught in the name of Rabbi Natan -- "at that moment, the "haters of Israel" [a euphemism for the rabbis] deserved to be wiped out, for falsely flattering Aggripa. Said Rabbi Shimon son of Chalafta: "the day that Aggripa beat the [prohibition against] false flattery, all justice was corrupted, all deeds wrecked, and no one any longer claim their actions any better than any one else's. Intermarriage by itself is a very serious prohibition, rendering a Jew as a "traitor" to his people and his G-d. As all gentiles have status of idolaters (עכו"ם), this also makes it a branch of idolatry. Supporting this relationships, according to the principle of "All Jews are responsible for each other", the responsibility is on all participants. Public desecration is the most serious prohibition. Attending such event means publicly participating in a public desecration. Not the answer you're looking for? Browse other questions tagged halacha wedding intermarriage . Can an Orthodox Jew attend the Reform wedding of a close relative? Invited to Engagement of Girl intending to marry out: Attend/Not-attend? What is the source for the prohibition on marrying gentiles?